Flower, oil, vaping concentrates, edibles, topicals. 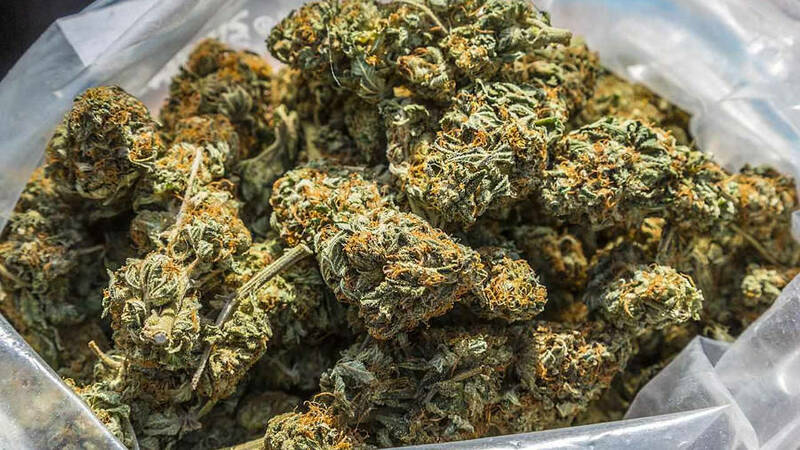 These are just some of the ways that the public is consuming cannabis now that legal recreational and medical markets open up around the world. Traditionally, flower has dominated the marketplace. Old school cannabis consumers praise the ritual of busting, grinding. and carefully rolling joints. But for new or inexperienced users, they are looking for more discreet and convenient options. This growing trend is not just hearsay either. In 2014, according to BDS Analytics, flower contributed to 63% of overall cannabis sales. Fast forward 4 years later and that number has dropped to just 43%. Cannabis producers have realized that they need to tap into the bigger picture. Old school users are going to continue evolving, but in order to capture new business, they need to adapt and offer options that fit the lifestyle of more than just the ritual smokers. One method of consumption that is an emerging trend is vaping concentrates. 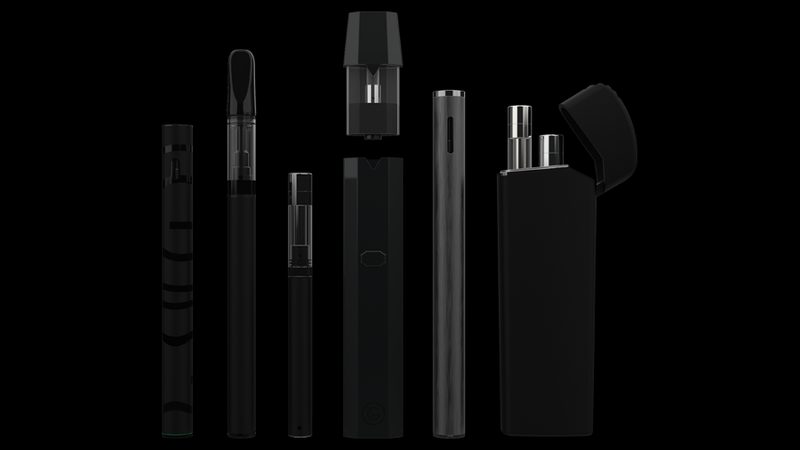 There has been a big shift and growth in technology from old e-cigarette technology used to vape e-juice to hardware that is engineered specifically around cannabis extracts. Advocates praise its discreet vapor, smell, and ease of use for using vape pens over joints, bongs, and pipes. In a world where people are looking to make their lives easier, vape pens offer the solution. Before we answer this question, you need to understand that cannabis extracts come in all different types of forms. We won’t get into in-depth detail here but you can get a great overview of the differences between cannabis concentrates here. Oil vapes are simple and straight forward. Low to high viscosity cannabis oil is extracted (usually via CO2, Distillation, Butane, etc) and loaded into either a cartridge, disposable all-in-one pen, or pod-based system. These units typically accompany a battery source to heat the coil to turn oil into vapor. These types of vaporizers are usually one-time use and not recommended for end-consumer refills. Oil vaporizers can be purchased via retail outlets and through online distributors. Shatter, crumble, budder, rosin, & wax all fall within the hard concentrates category. You might also know the term “dabbing”, which uses what looks like a glass bong with a nail (bowl) that is heated with an open flame blow torrch. You then “dab” a piece of your hard concentrate into the hot nail which vaporizes and is ready to inhale. Alternatively, vaporizer technology has grown in the last 5 years to now offer more portable, less obtrusive, and FAR less intimidating ways to consume hard concentrates. Most of these devices are simple and straight forward. They usually have a chamber to load your dab, an on/off button, and electronic heating controls to allow you to determine the amount of vapor. These devices, like the Torrch portable dab vape, are becoming a great way for those interested in concentrates that were too turned off from big rigs and open flames. Coil (bowl) heats up -> Cannabis concentrate vaporizes. That is how most mainstream consumers view vaporizers. But with more education and consumer preference, the more important temperature becomes when vaping concentrates. 32°F – 310°F (0°C – 154°C) – This range is generally too low to vaporize any type of cannabis concentrate. This will result in zero clouds and thus no flavor. 315°F – 450°F (157°C – 232°C) – This is the range for your “low temp dabbing”. In this range terpene profiles efficiently vaporize without burning. You will experience the maximum flavor and taste exactly the way the extractor meant for the extract to taste. 450°F – 600°F (232°C – 315°C) – This is in range with a “medium temp dab” or a hybrid temperature. This range will deliver slightly lower flavor profiles while increasing cloud production. 600°F – 900°F (315°C – 482°C) – This is the “high temp dab” range. You will start seeing rapid combustion and thick clouds. You lose terpene flavors as they lose their molecular structure at such high heats. 900°F + (482°C +) – Anything above this temperature is generally frowned upon as certain carcinogens and toxins begin to release in a vapor form. Hits will be cloudy, but extremely harsh with a distinct burnt taste. If early trend research regarding cannabis consumption methods is any indication about the future the options for custom cannabis intake is only getting more robust. Ease of use & discretion will continue to be a focal point for brands to penetrate a more mainstream consumer. Vaping will almost certainly dominate the market over the next few years as technology gets better and more catered towards cannabis extracts. For the best option in hard concentrate vape pens, check out the Torrch for superior taste and extremely smooth vapor.